Rra Dinare, meaning ‘Father Buffalo’, is a newly opened lodge occupying a private concession looking onto the Gomoti River, adjacent to the Moremi Game Reserve in southeastern Okavango Delta where wildlife ambles across the floodplains in front of the lodge. 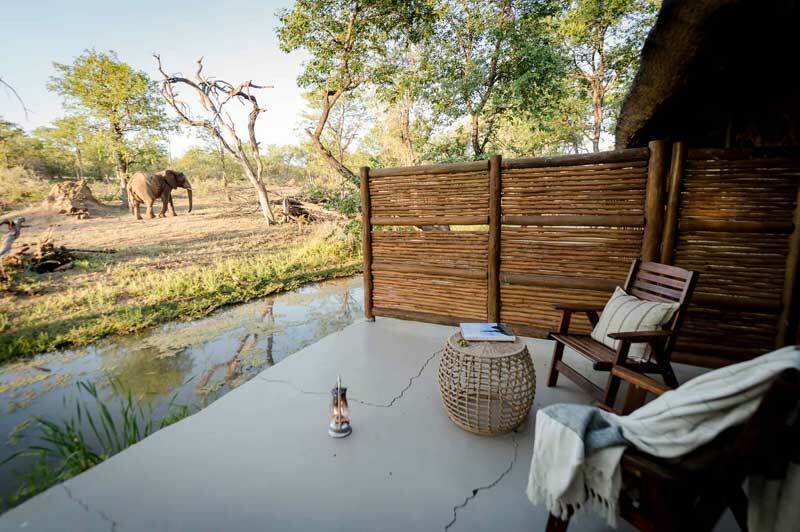 Rra Dinare opened its doors in 2017 and it has delivered as a secretive retreat in private Okavango Delta territory. The 272 sq. 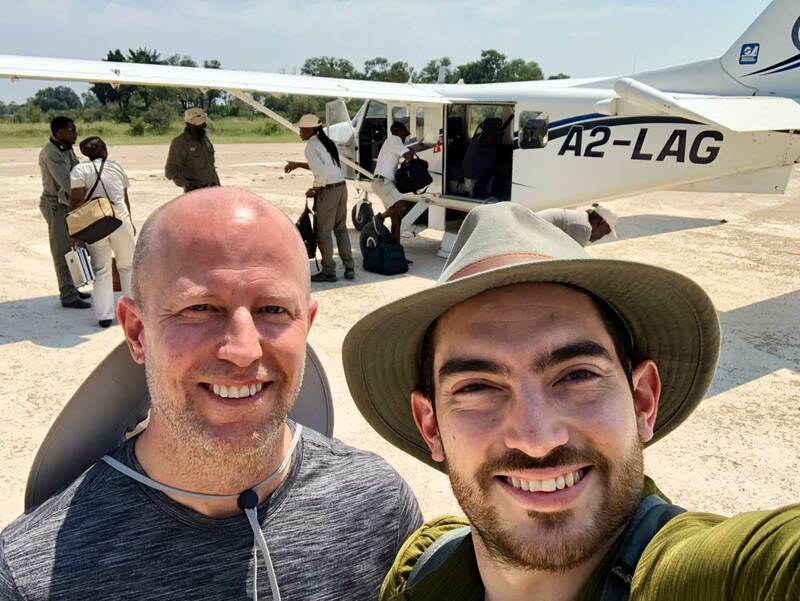 km concession lies adjacent to Moremi Game Reserve in southeastern Okavango Delta, and it is serviced by a private airstrip making it easily accessible by air. There are 8 luxury tents, plus a guide’s tent, keeping numbers down and maintaining an exclusive experience. The positioning of the lodge is ideal, nestled between the riverine trees and looking over the Gomoti River and floodplains beyond. Here, the view elaborates the seemingly endless wilderness where elephant, buffalo, and a host of other species are regularly seen roaming wild. Rra Dinare has opened as the sister camp to all time Okavango favourites – Pom Pom Camp and Gunns Camp, giving it immediate star appeal. 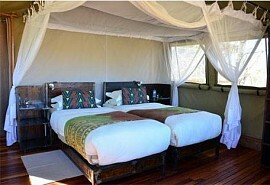 The 8 luxury tents are spacious and shady, and include a lounge area and a balcony, which makes use of the abounding views. 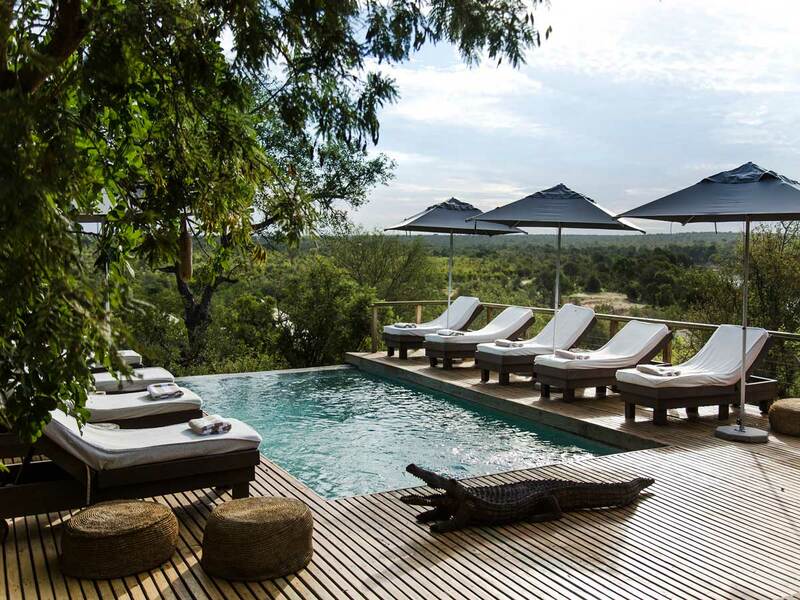 There is a swimming pool, which extends from the main lodge area and is surrounded by the vast open plains, and offers enormous relief during summer. 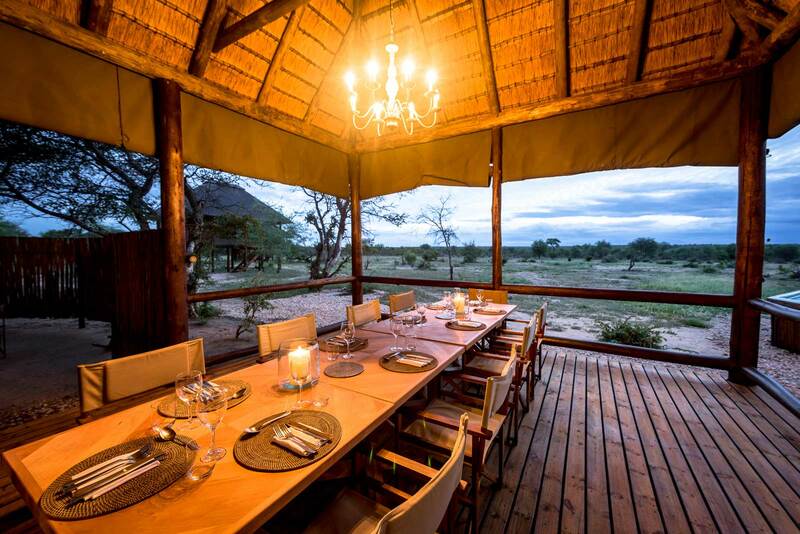 There is a beautifully stocked curio shop, an elevated lounge area with great views of the flooplains, and a sheltered dining area as well as an open air boma on the deck. The Okavango Delta needs little introduction given its status as a UNESCO World Heritage Site, and famed existence as the Jewel of the Kalahari; the place where lions hunt buffalo on waterlogged islands, and where the elusive Pel’s fishing owl nests in dark tree canopies alongside the winding waterways. Rra Dinare’s private concession keeps this experience and the game viewing private, offering unbeatable safari activities to guests. Exclusive game drives in vehicles designed for 6 people at a time take place both during the day and at night, allowing the freedom to explore at all hours. Seasonal water activities, such as boating and mokoro cruises are offered when river levels are right, and guided walks are an option for those who like would to investigate this wild territory on foot. The riverine trees under which Rra Dinare is built is a haven for bird spotting, as is the water’s edge along the Gomoti. 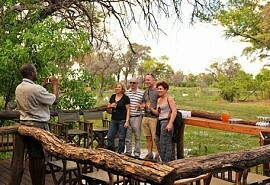 Camp Okuti is a family friendly safari lodge within the borders of the Moremi Game Reserve. 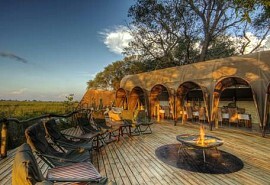 The lodge has a unique design that overlooks a large lagoon - perfect for hippo spotting. 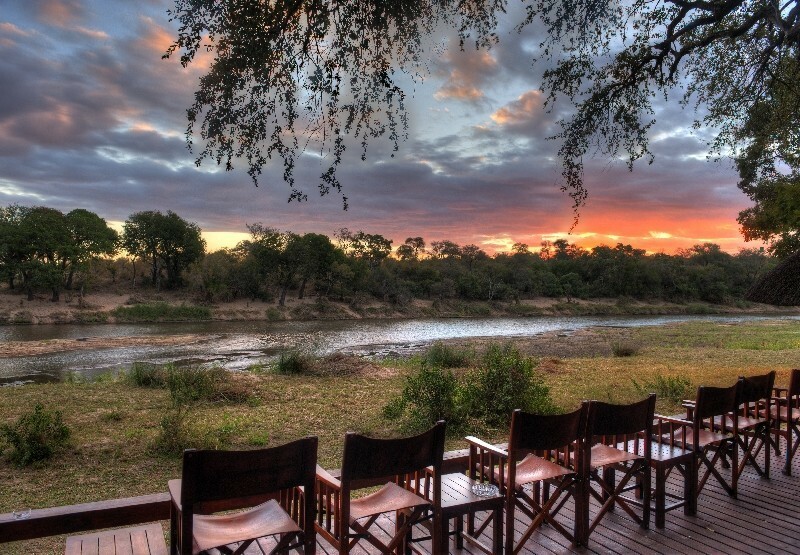 Game drives are offered in an area that offers excellent year round game viewing. 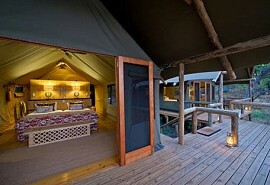 Khwai Tented Camp is a rustic tented safari camp located close to the Khwai Community area. 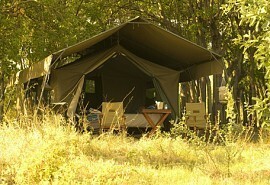 The camp is simple and suitable for guests seeking an Out of Africa safari experience. The Khwai River attracts a multitude of wildlife species. Sango Safari Camp is nestled under the cover of trees overlooking the Khwai River, and gets its name from the original inhabitants of the Khwai area. 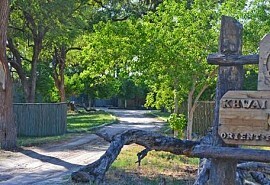 The camp is located on the periphery of the village of Khwai and on the boundary of Moremi Game Reserve.